Before co-founding Ecogy, John served as a Managing Director in the J Aron division at Goldman Sachs for 13 years. At Goldman Sachs, John managed a derivatives trading desk focused on serving clients in petroleum products worldwide, with offices in New York, London and Singapore. Prior to Goldman, John was a senior vice-president in the commodity trading group at Lehman Brothers for seven years. Prior to co-founding Ecogy, Ken Becker was an officer and director of Citigroup Global Markets Inc. for over 25 years. During his time there, he was a senior member of the project finance and structured finance groups within the Public Finance Department. During this period, he successfully structured and completed nearly $30 billion in capital transactions to fund projects for clients. Ken was twice nominated for an Institutional Deal of the Year Award and received an award from the U.S. Conference of Mayors for innovative financing. Prior to joining Citigroup, Ken served in every level of government, including a Presidential appointment to a position in the U.S. Department of Housing and Urban Development, as well as a position in the White House. Prior to Ecogy, Jack spent four years as a Financial Analyst at HelioPower, where he structured financing deals for over multiple MW of small commercial and multi-family solar systems spread over hundreds of roofs. Jack also successfully structured financing solutions for non-profit and REIT solar deals and helped close a $25 million fund with Citibank. In 2011 he co-founded, BrightCurrent, a venture funded residential solar customer acquisition company that has helped tens of thousands of consumers switch to solar. He currently sits on the Board of Directors. Prior to joining Ecogy, Brock worked as a Fellow at Renewable Energy Vermont, the state trade association, where he helped pass the nation's first integrated renewable portfolio standard and energy transformation program during the 2015 legislative session. Previously, he worked as a Researcher for the Vermont Public Service Department on the state's Comprehensive Energy Plan for 2050 and as a Research Associate with the Vermont Public Interest Research Group on a net-metering redesign and a carbon pollution tax. While in college, Brock worked as a Research Assistant at the University of Vermont (UVM) with the Energy-Climate Transitions Research Team and with the Department of Economics on racial, gender and economic inequality. Prior to Ecogy, Francesco founded Solarando, enabling seed-stage European startups to explore opportunity in the U.S. clean energy industry. 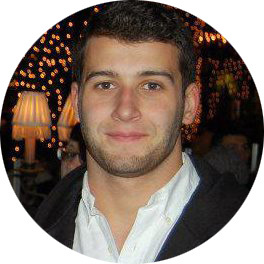 Francesco is also a 2017 graduate of NYU's Advanced Diploma in Clean Energy where he served as a consultant for United Wind as part of his course capstone project. Before Solarando, Francesco built up his experience over 9 years across several industries – technology, consumer services and market research. At Hewlett Packard and Euromonitor International he specialized in business development with a strong track record of increasing revenue and building territorial value. Francesco was responsible for account management, new deals, profitability growth and project management. Prior to joining Ecogy, Joel worked in the Hudson Valley of New York consulting local municipal governments on clean energy procurement and development strategies while co-designing Sun & Energy, a unique Community Choice Aggregation program. There he led program implementation and managed the early stage development of large scale commercial PV solar projects. Before pursuing the renewable energy industry, Joel spent 3 years as a macro-economic financial analyst on the ETF trading desk at Morgan Stanley. He worked with a small team managing firm risk and interacting with the industry’s leading asset managers to facilitate capital allocations across all asset classes. Joel obtained his Bachelor of Science in Aerospace Engineering at the Massachusetts Institute of Technology. Prior to working with Ecogy, Tony served as General Counsel to Green Lake Capital, an investment firm focused on developing, owning, and operating renewable energy assets, and previously as Director of Legal and Regulatory to Tioga Energy, an independent power provider (IPP) specializing in financing, developing, owning, and operating solar energy projects owned by Draper Fisher Jurvetson, DFJ Frontier, NGEN Partners, Rockport Capital, and Nth Power. He has extensive experience in all aspects of the development of renewable energy projects and has structured, negotiated, drafted, and closed over $250 Million of solar energy project funds. He understands what makes a project financeable, how to pragmatically resolve the various issues that affect most energy infrastructure projects, and how to move a project from development and design, through construction, and into successful commercial operation. Prior to joining the Ecogy Energy team, Jason worked in the solar power industry for ten years in various positions including commercial and residential installation, sales, project management, project development and product development. Jason recently relocated to join Ecogy from the Virgin Islands where he worked to build an array of solar power systems across the Caribbean. He is known amongst his peers as an innovator, having impeccable craft and a high sense of quality control. One of his crowning achievements is the recent prototyping and installation of a product that he developed and patented 7 years ago: a building-integrated solar glass roof that survived a direct hit unscathed from both Hurricanes Irma and Maria - proving that residential architecturally integrated PV glass is not only beautiful, but affordable and nearly indestructible. Jacque is an electrical engineer committed to renewable energy and pursuing a PE license in Electrical Power. Prior to joining Ecogy Energy, she spent seven years with Hudson Solar designing residential, battery backup, commercial and community solar systems throughout the Hudson Valley and Albany regions in New York. During that time, she served as technical expert on the company's battery backup offering and Lead Engineer for community solar projects. Prior to joining Ecogy, Lavender worked with the Toronto Renewable Energy Co-op, AECOM, and the Office of Renewable Energy at the City of Toronto. Her experiences with the renewable industry range from asset management, environmental assessments, and project management. During her time at the City of Toronto, she worked with the Renewable Energy Office on Feed-in-Tariff project applications, due diligence review, and asset management. Julia is a Master's student in Sustainability Management at Columbia University. Prior to joining Ecogy, she was a science intern at the Environmental Protection Bureau in the Office of the New York State Attorney General. She also worked in the Sustainable Engineering Lab at Columbia University evaluating time-shifting solar electricity supply using battery storage to match demand in New York City. Her coursework has included finance for clean energy projects, energy market analysis, and lean start-up methodology. Julia earned her Bachelor of Science in Chemistry and Bachelor of Arts in Environmental Studies from the George Washington University. John is Founder and Protector of the SolarNetwork Foundation, supporter of the SolarNetwork® Platform, a key building block for Ecogy’s energy management platform. The SolarNetwork Platform is an enterprise-class Open Source software platform focused on the capture, storage, visualization and analysis of real-time renewable energy data. John is a skilled industry veteran who has been working in and around the solar industry for over 10 years. His experience in design, deployment, configuration, solar asset management, solar business processes,combined with R&D and future looking vision make him an essential member of the Ecogy Energy team. Matt is a Director of SolarNetwork Foundation and is the architect and lead developer for the SolarNetwork Platform. He has over 20 years professional experience working with large scale enterprise applications and is a key senior member and lead architect of the Ecogy Energy software development team. Matt is also charged with maintaining Ecogy Energy’s contributions and commitment to Open Source and Open Standards, a job well aligned with his passion for developing, supporting, and leveraging Open Source and Open Standards for environmental renewal. 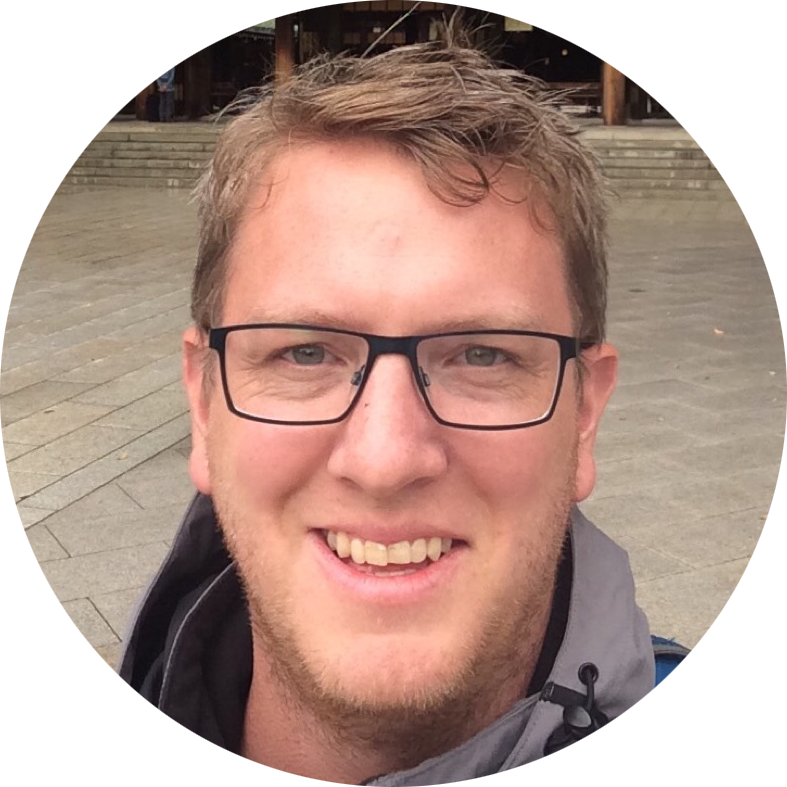 Matt's chief goal at Ecogy is to craft high performance software for advanced DER management using Open Source; his skills and drive are sure to make a real difference to the solar industry. Philip brings an extensive background in team leadership, long term thinking, business strategy, planning and execution to Ecogy. He is focused on the big picture and is always hunting for strategies which will best serve long term results on a global scale. An important aspect of this focus is a passion for Agile processes most traditionally seen in the realm of software development, but increasingly now being recognised as a broader business development process as well. Agile lets us match our effort and focus directly with the needs of our customers and our business and do this with maximum velocity. Unprecedented technological and social change is creating opportunity throughout the world; Philip is passionate about fully embracing these opportunities and delivering both technical and business results. Philip serves as Scrum Master (the team facilitator) and also as a trusted advisor for product and business strategies at Ecogy Energy. Max is a highly skilled developer with over 14 years experience, primarily in technical roles building large scale eCommerce solutions. Max is our lead front end developer and is in charge of bringing the Ecogy vision to life through software. His core skills are in using Java and web technologies to build functional and elegant user facing solutions. He leverages the best-of-breed cloud technology platforms to deliver solutions quickly, efficiently and at scale. The Ecogy Energy Asset Management platform is a credit to Max's skill and dedication, he is passionate about bringing the world’s best asset management platform for distributed renewable energy assets to market. Prior to joining Ecogy, Shelby worked on an affordable housing project called Community Rebuilds which aimed to bring sustainable green housing to lower income residents in Mt. Crested Butte, CO. Shelby’s team oversaw the planning and development of the first three-story strawbale home in the area, meeting current NSTAR standards for green housing. While at school Shelby was an active student, pursuing a short career on the varsity crew team as a coxswain and theses in both restorative environments and early south american religion. Prior to joining Ecogy Max worked as a Creative Director, Graphic Designer, and Entrepreneur in the greater New York City area. As a passionate environmentalist with over 3 years experience in business development, Max aims to use his expertise in digital marketing to further Ecogy’s client outreach while working internally to develop content, web solutions, and brand strategy.